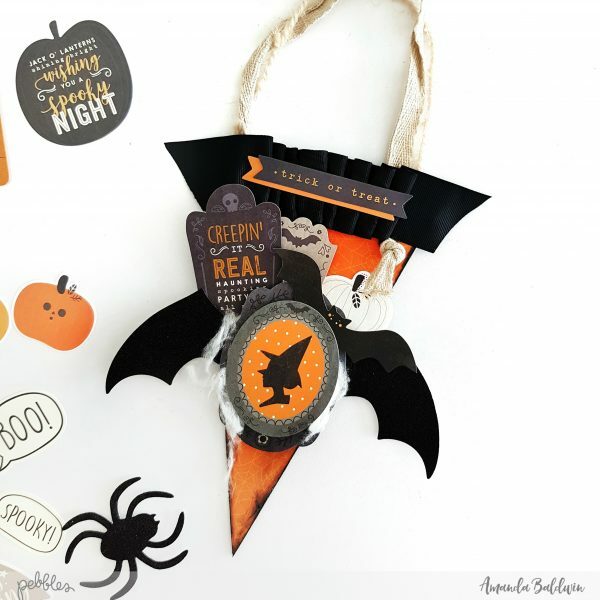 Decor Archives - Pebbles, Inc.
A Boo-tiful Gift Idea for Halloween! 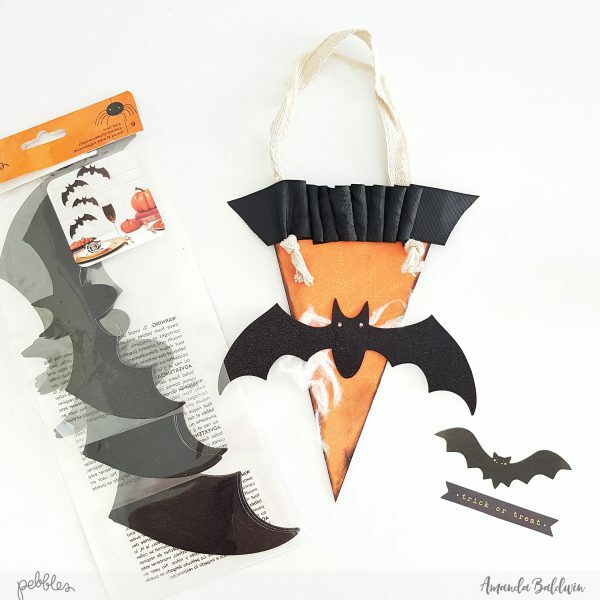 It’s Amanda, & today I am sharing a super sweet Halloween decor item that makes for a spook-tacular gift! 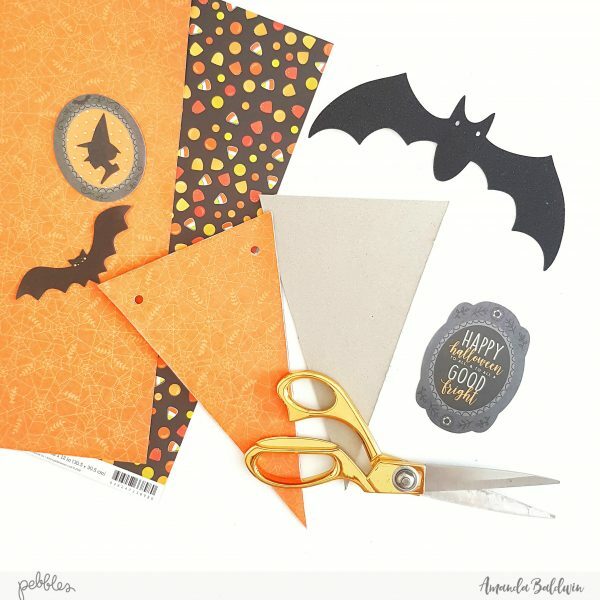 I LOVE Halloween, and the new Spooky Boo collection is just perfect for Halloween cards, decor & memory keeping! 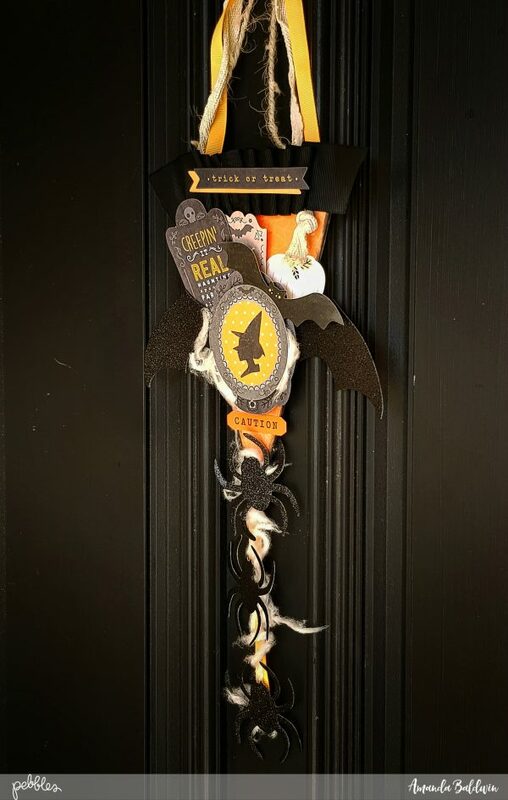 Here’s the gift I’m sharing today…..
Not everyone in my neighborhood celebrates this holiday, so to let Trick Or Treaters know if it’s ok to visit, we all hang a wreath, banner or decorative item on our front doors. I thought this cute door hanger would be a perfect gift for our new neighbors across the street. I hope they like it! 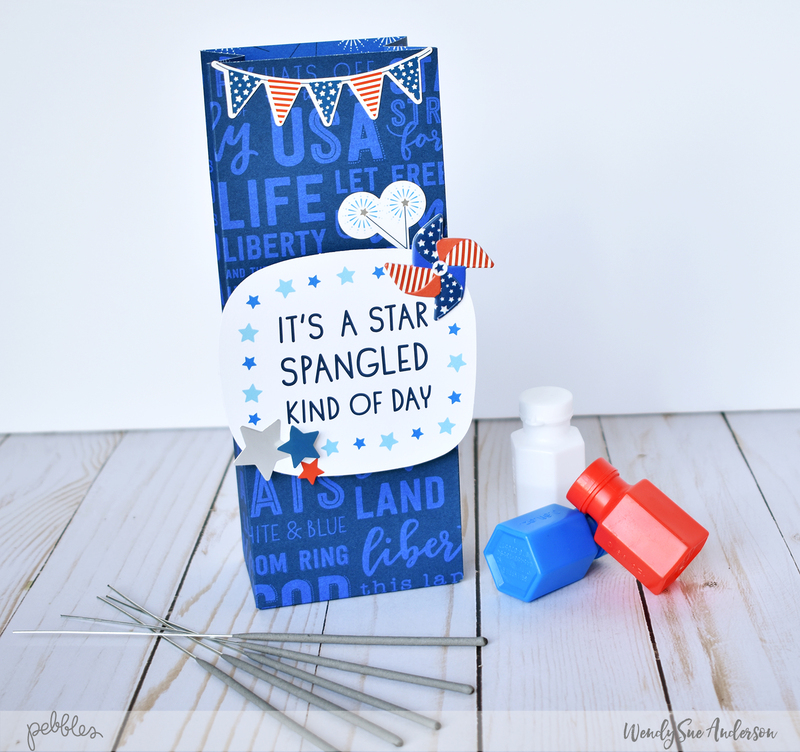 Here’s how to make one of your own…. 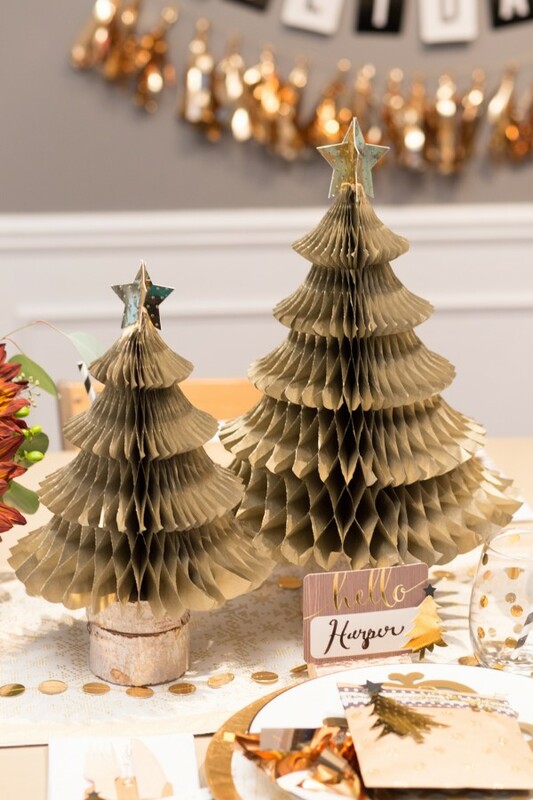 Start by trimming a sheet of chipboard into a 5″ wide triangle with an 8″ point. 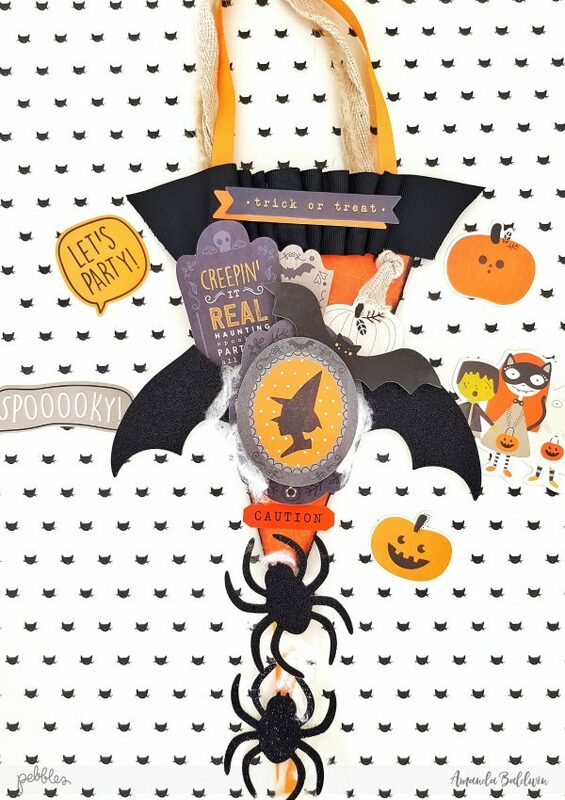 Cover both sides with your fave papers from the Spooky Boo collection. I chose the reverse side of HOCUS POCUS for the front side, and SWEET TOOTH for the back. 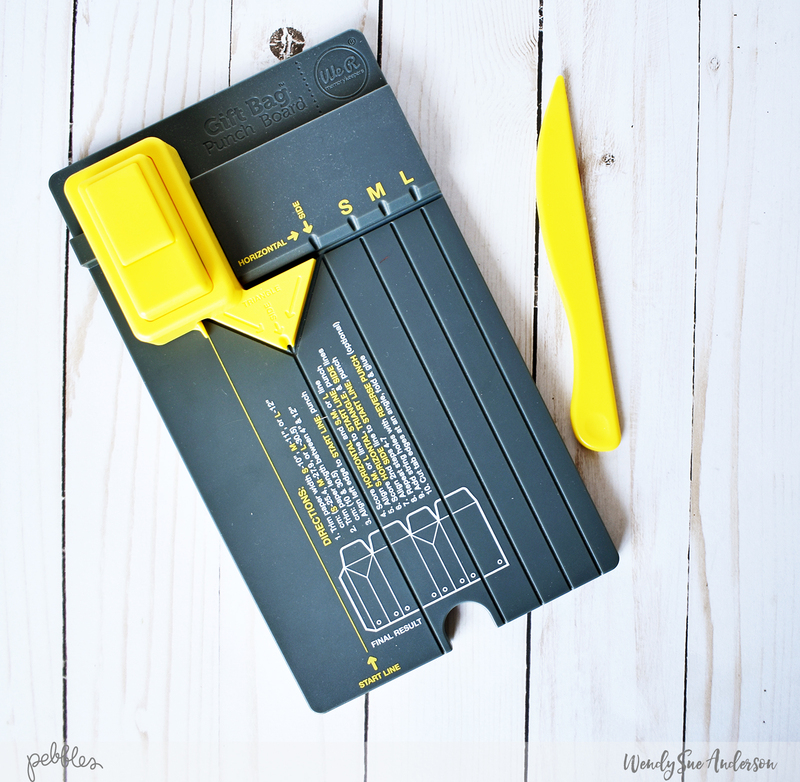 Use your We R Memory Keepers Crop-A-Dile, or similar tool, to punch holes in the top corners of the triangle. 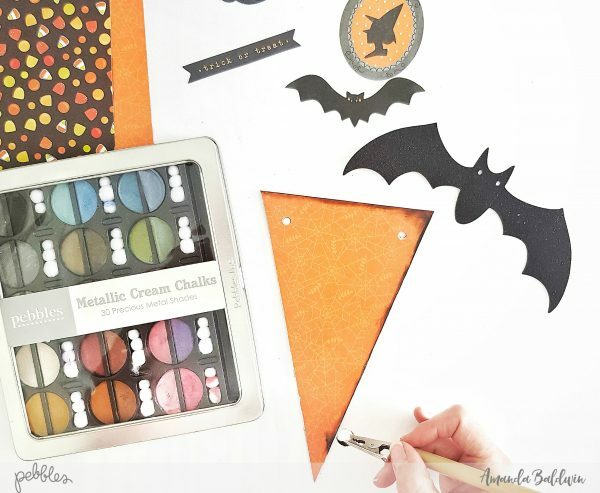 To add that ‘Halloween’ feel, (& hide those ugly chipboard edges) apply METALLIC CREAM CHALK in black to the edges of the triangle. Insert burlap ribbon into the holes, tying it off with knots to create the ‘handle’. I use burlap as it’s quite sturdy and won’t perish easily! 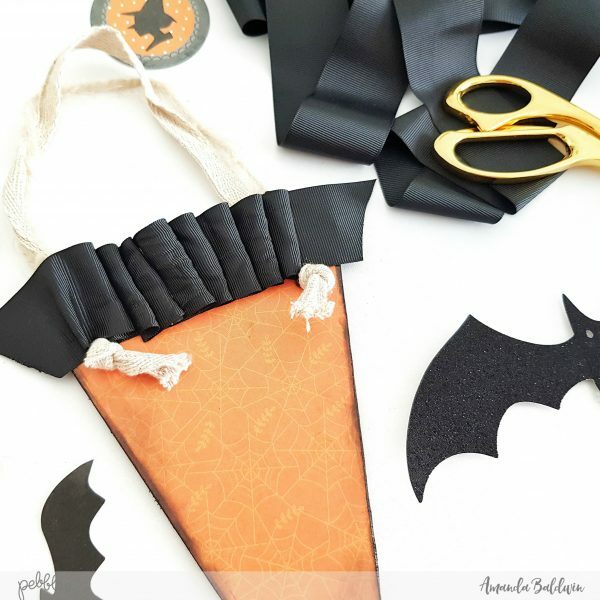 Use 1″wide black ribbon to create the fancy concertina trim at the top of the triangle. Kinda looks like a carrot as this stage, but once we start embellishing the triangle you’ll barely see that orange base! 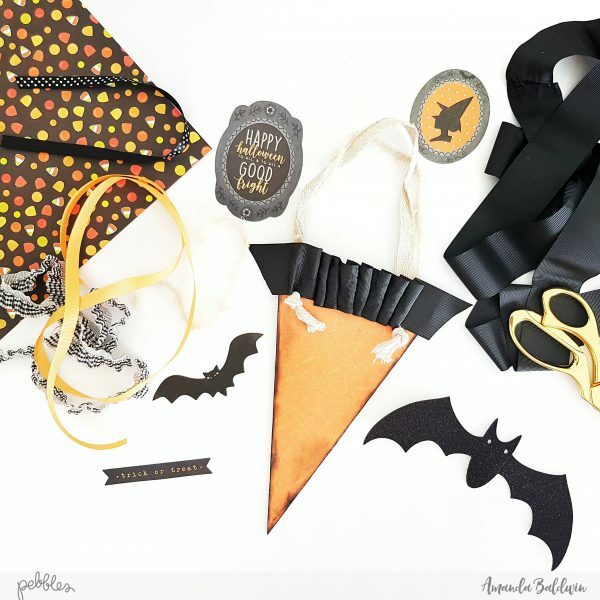 Embellish with faux spiders web (stretched cotton wool), and one of the smaller WALL BATS in the center of the triangle. 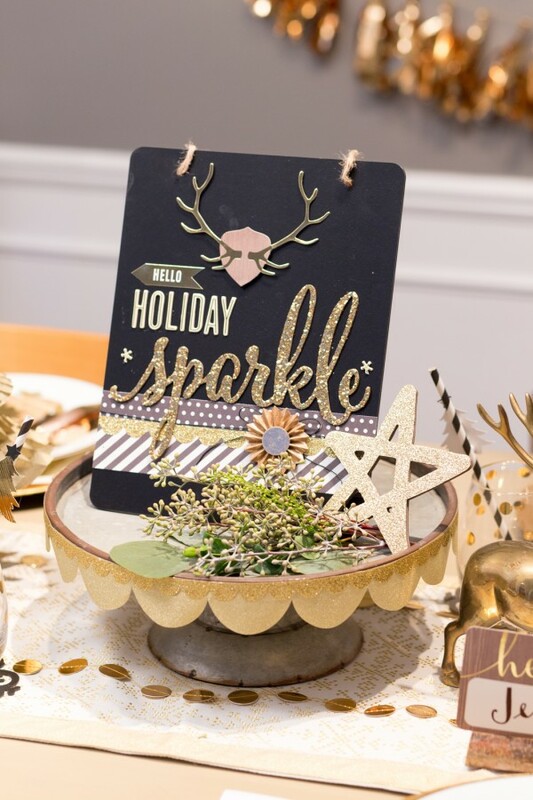 Next, foam mount PRINTED CARDSTOCK SHAPES on top of one another to create a focal point. 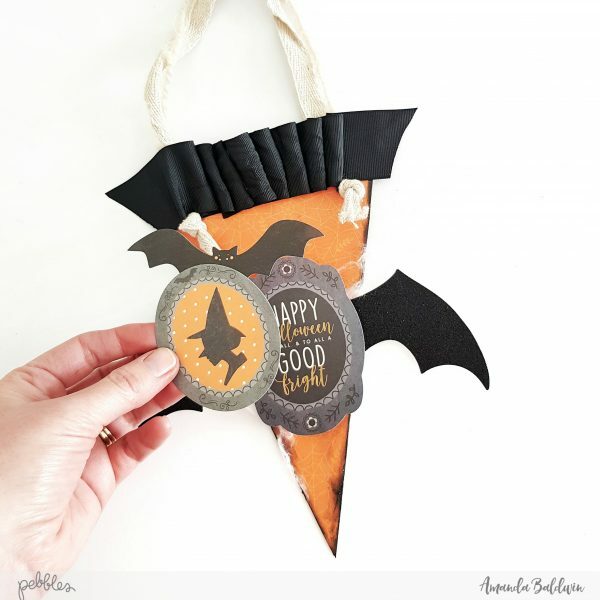 I love the framed witch silhouette supported by the little bat ephemera, but there are tons of options in the PRINTED CARDSTOCK SHAPES pack to choose from! Lookin’ boo-tiful already! But it really needs more……. 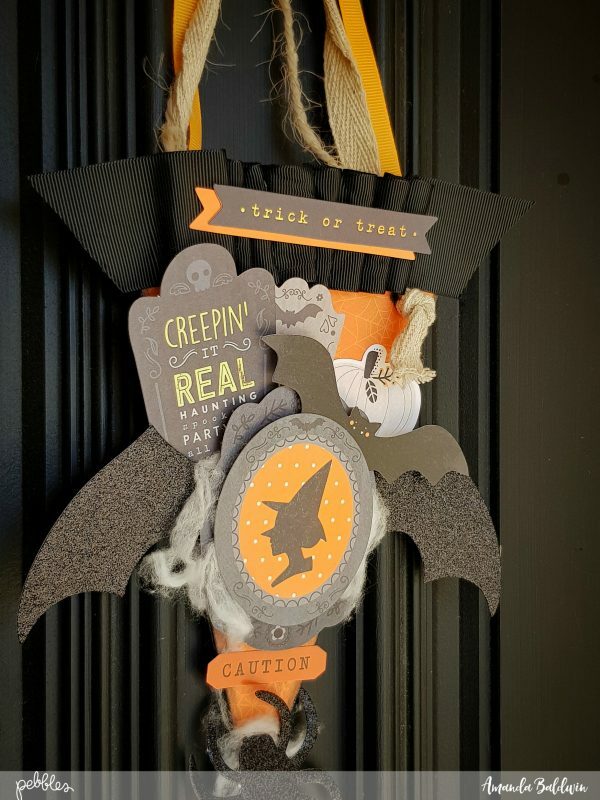 For my gift, the ‘Trick Or Treat’ sentiment is a perfect adornment to the top of my decorative door hanger, but again many of the PRINTED CARDSTOCK SHAPES or 6″ x 12″ ACCENT STICKERS would work for personalizing your decor! 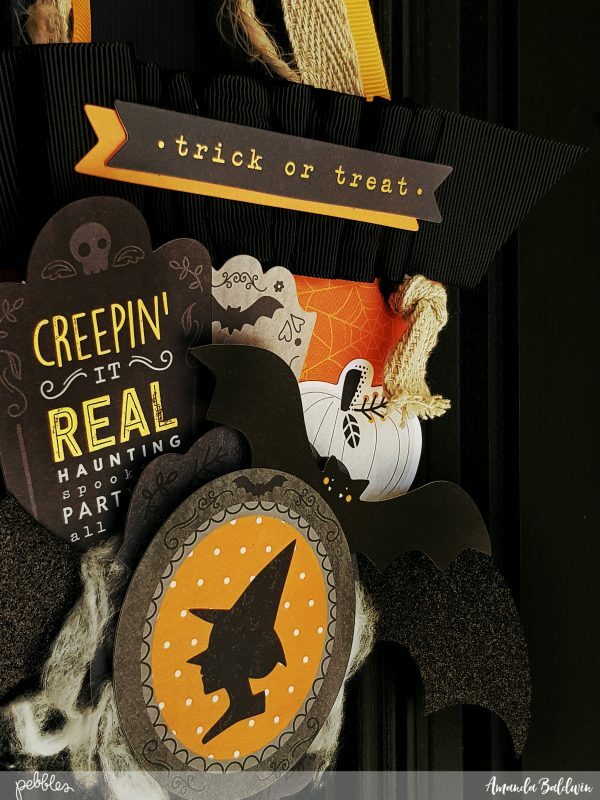 I also tuck a few PRINTED CARDSTOCK SHAPES into the top of the focal point. Now it’s starting to look super spooky!!! Add more ribbon & trim to the ‘handle’, as well as a length of ribbon at the triangle point. 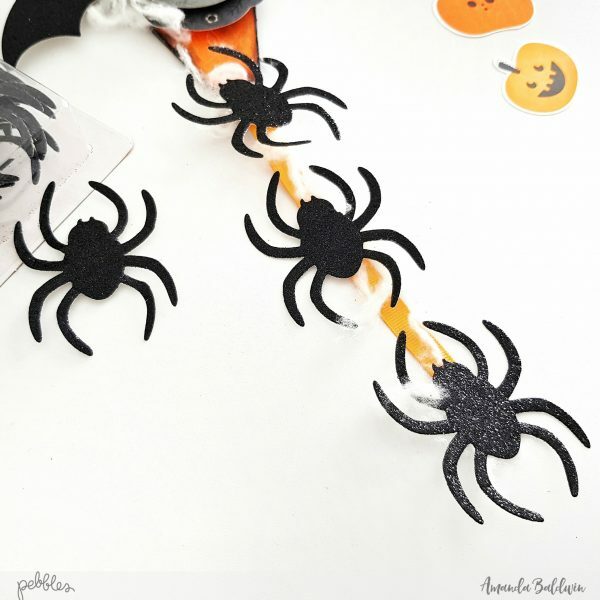 Adorn the ribbon with more cobwebs, and for finishing touches attach those fabulously freaky WALL SPIDERS. 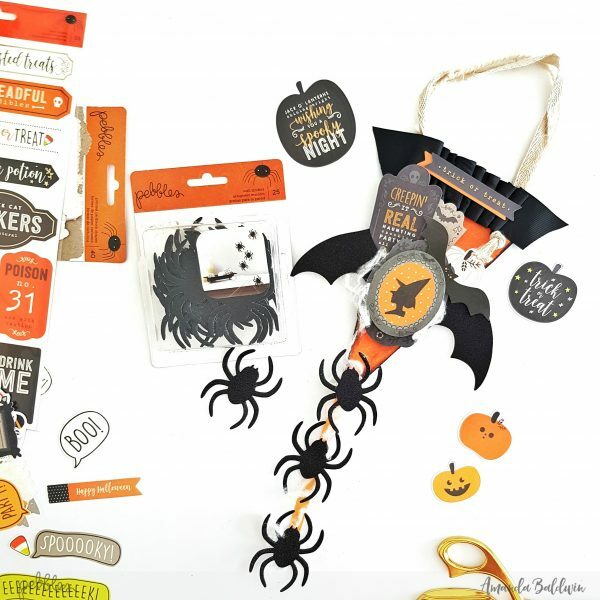 Witches, spiders, bats, & pumpkins – totally CREEPIN IT REAL!!! 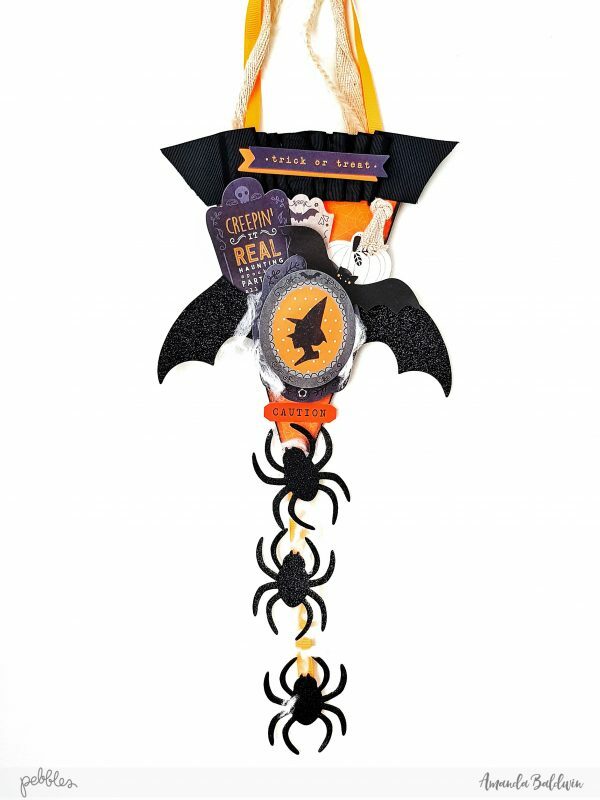 Here’s how it looks hanging on the door…..
A spook-tacular Halloween gift that really does say Boo! 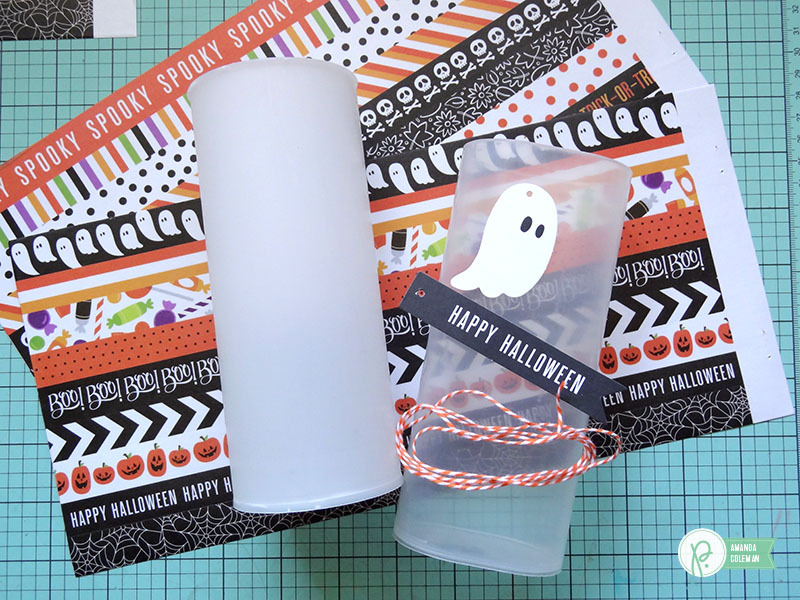 I hope I have inspired you to get started on your Halloween crafts with the new Spooky Boo collection today! 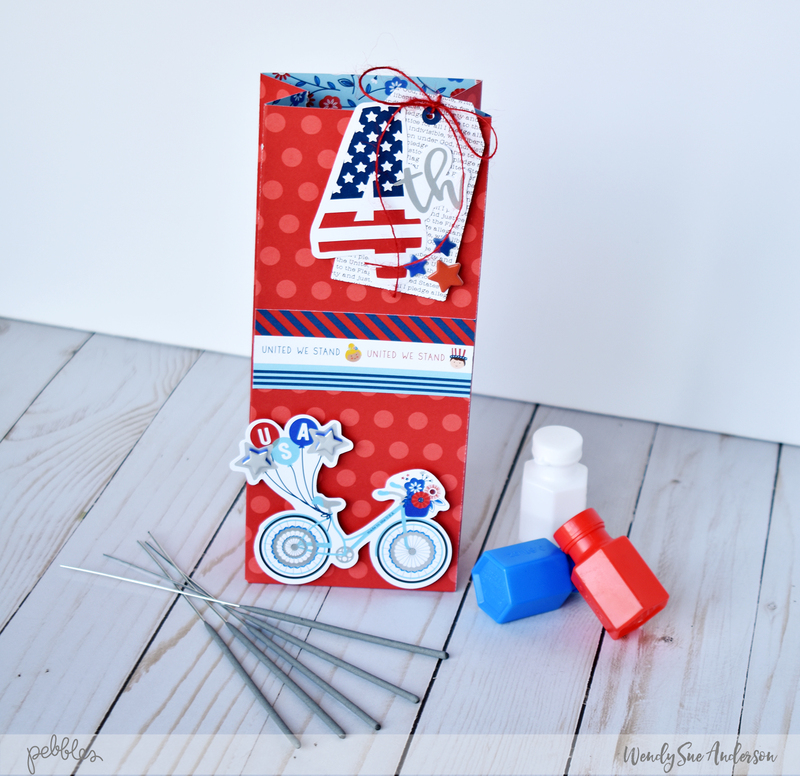 Summer is just beginning, but the 4th of July is just around the corner. 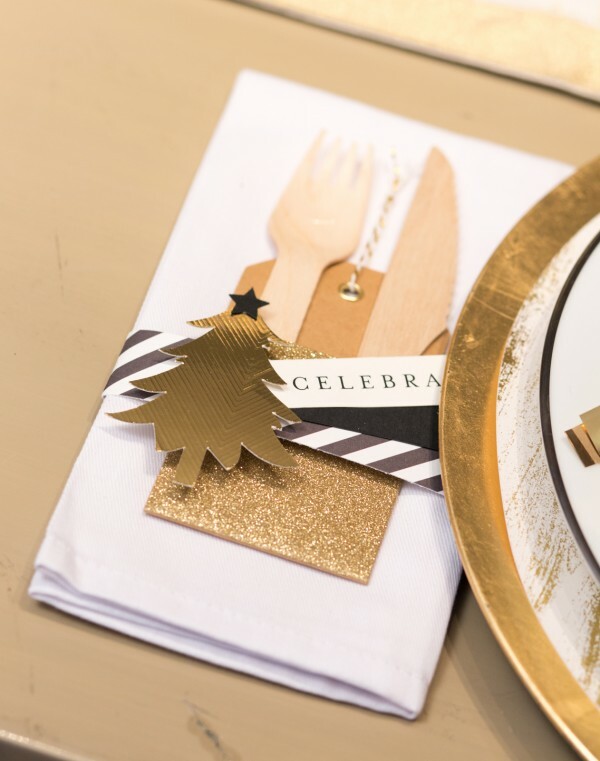 Are your ready to start some fun holiday prep? 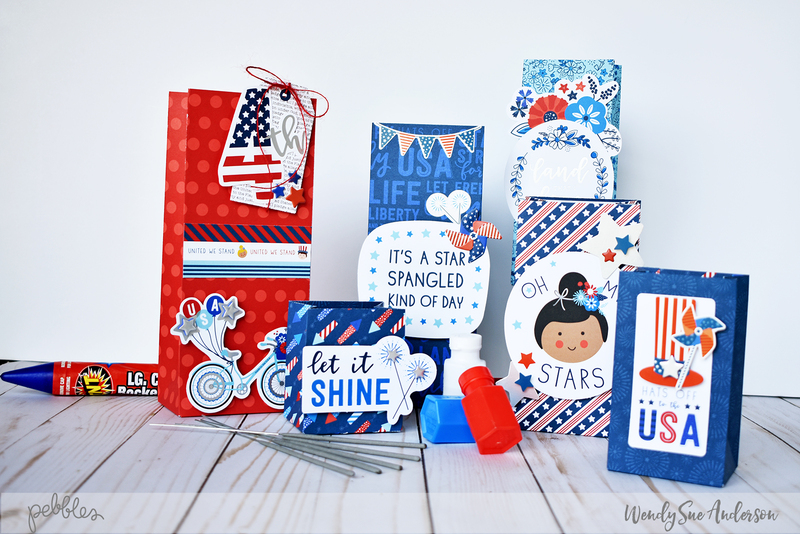 These cute patriotic gift bags could be used for gifts OR just super fun decorations! 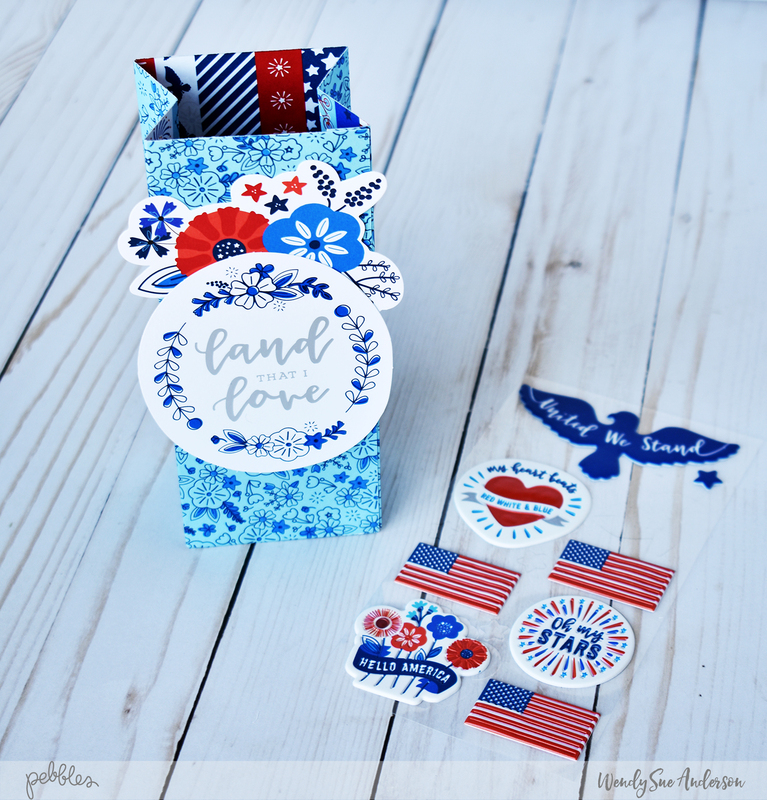 They are quick and easy to whip up, and only require a few supplies – including the fabulous “Land that I Love” collection and the “Gift Bag Punch Board” from We R Memory Keepers. 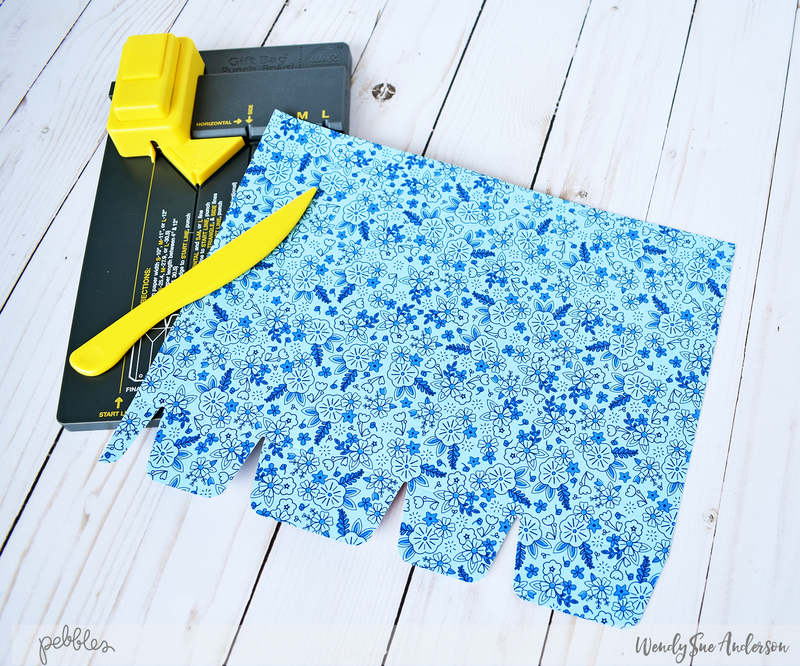 Follow the directions printed right on the punch board for the size of bag you want to make. As you can see, I made a bunch of bags, all different sizes! 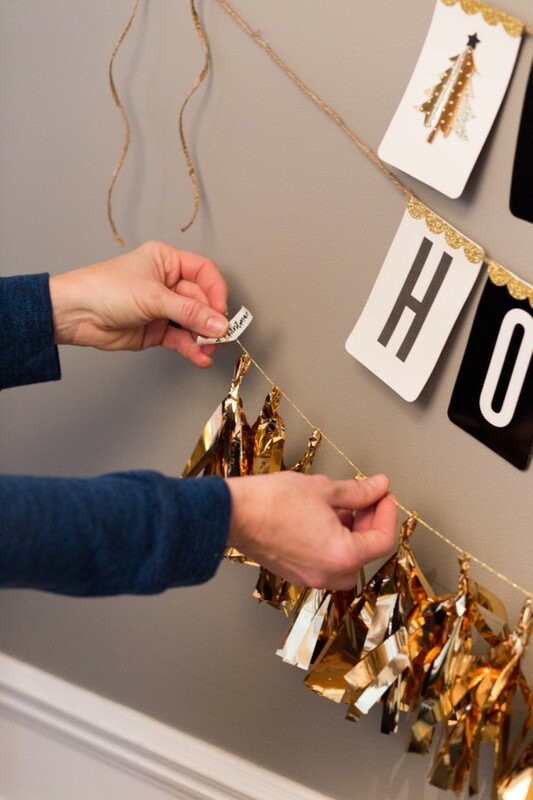 Cut the paper to the correct size, then follow the directions to punch and score everything correctly. This red tape is the BEST for assembling bags and boxes – I buy it in bulk because I use it all the time, and I LOVE it!! After adding the adhesive, the little bag is all done! 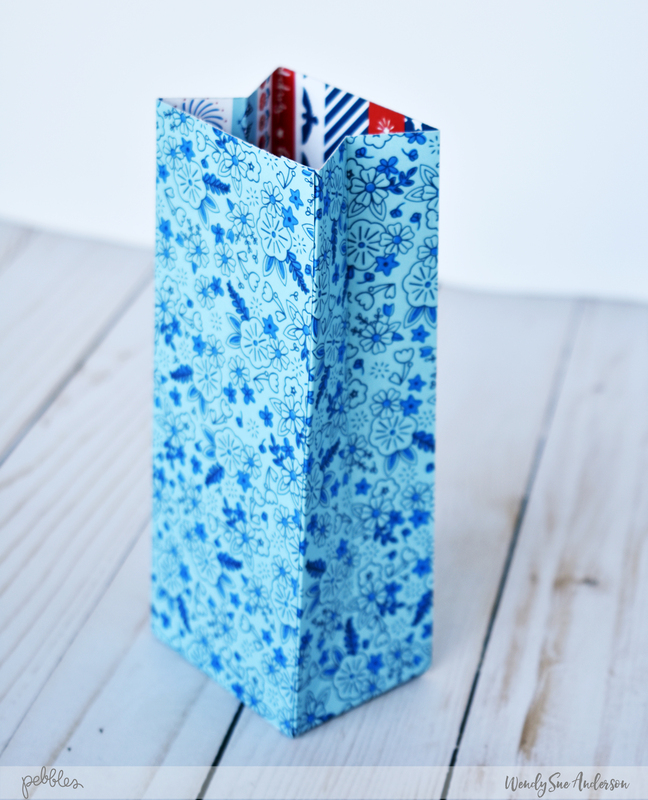 Honestly, these bags are so easy and fun – you could have the kids help! 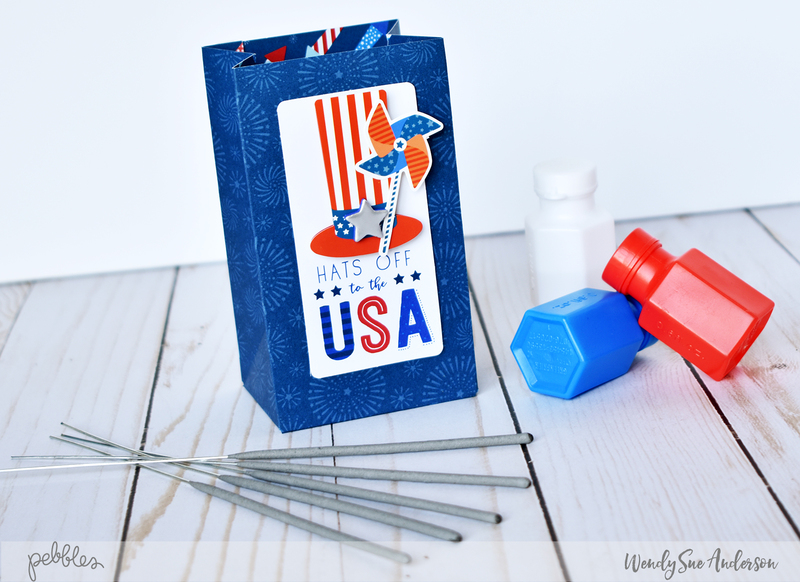 Happy 4th of July prep to you! 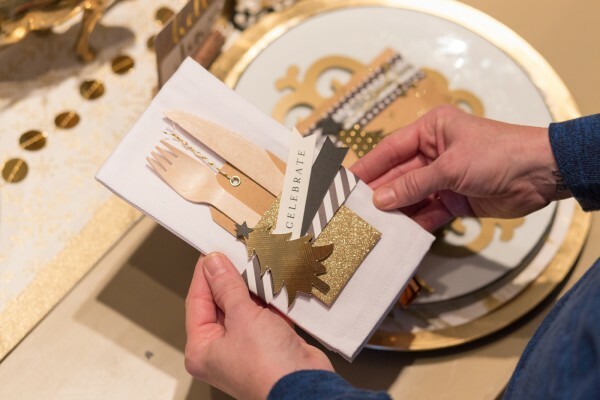 Oh, and did we mention that all you need to recreate this little beauty is some Jen Hadfield Home+Made product and a handful of We R Memory Keepers DIY Party tools and products? That and your creative spirit, and then you’re ready to go! 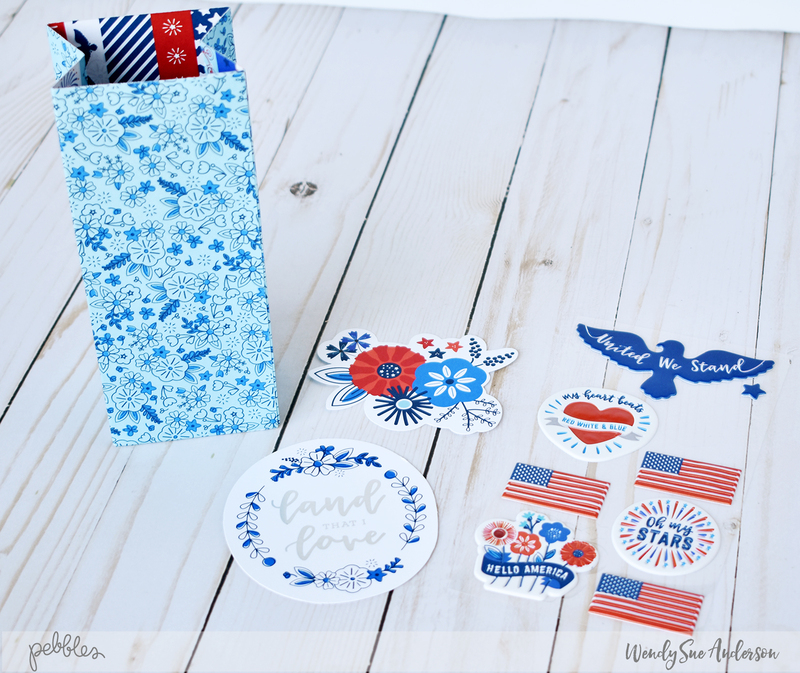 PS – you won’t want to leave early because there’s a really pretty video at the end of this post! What do you think? 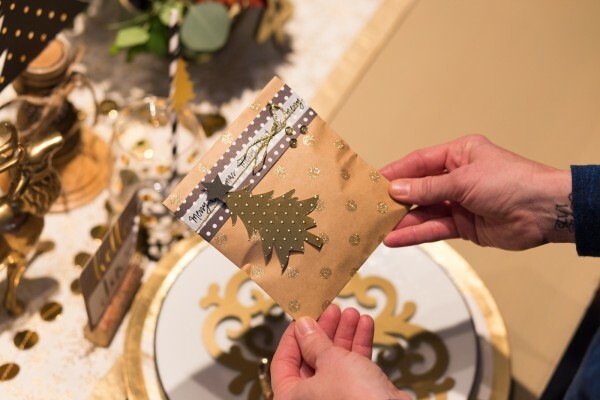 We had so much fun crafting and creating for the holidays and hope we were able to at least get your creative juices flowing as you head in to the Christmas season. Happy Halloween, Pebbles fans! Amanda here today. I love candy. 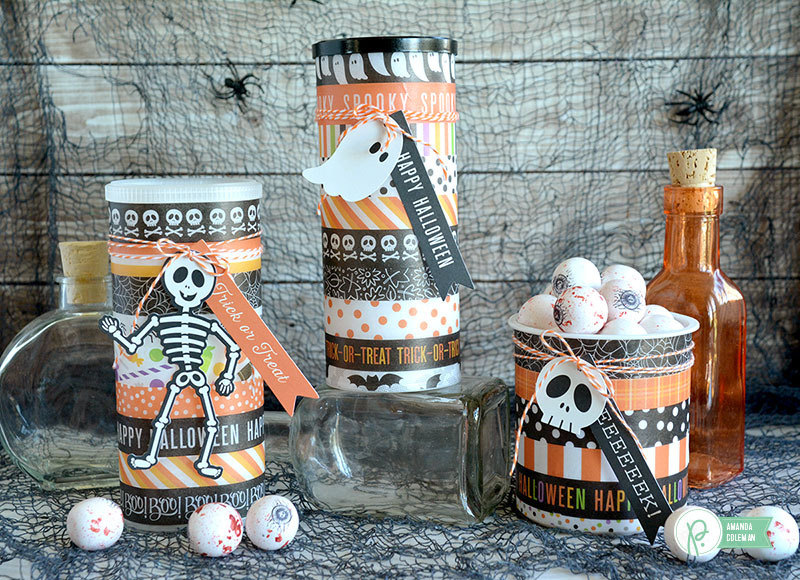 I love eating it and I love giving it away, which makes Halloween the perfect holiday for me. Now that I’m a little older, I try to focus on giving away more candy than I eat. It helps reduce the temptation to stuff my face with peanut butter cups all day long. 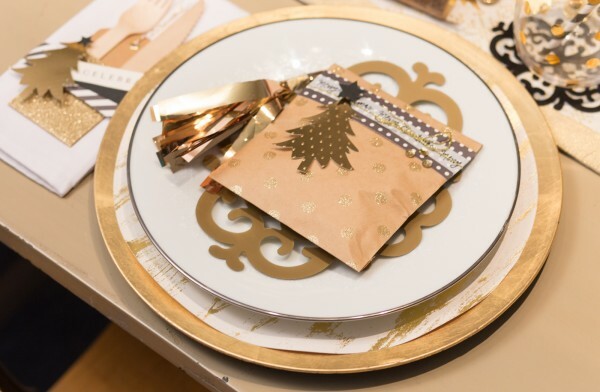 Upcycling and repurposing food containers is one of my favorite ways to make quick gift containers. 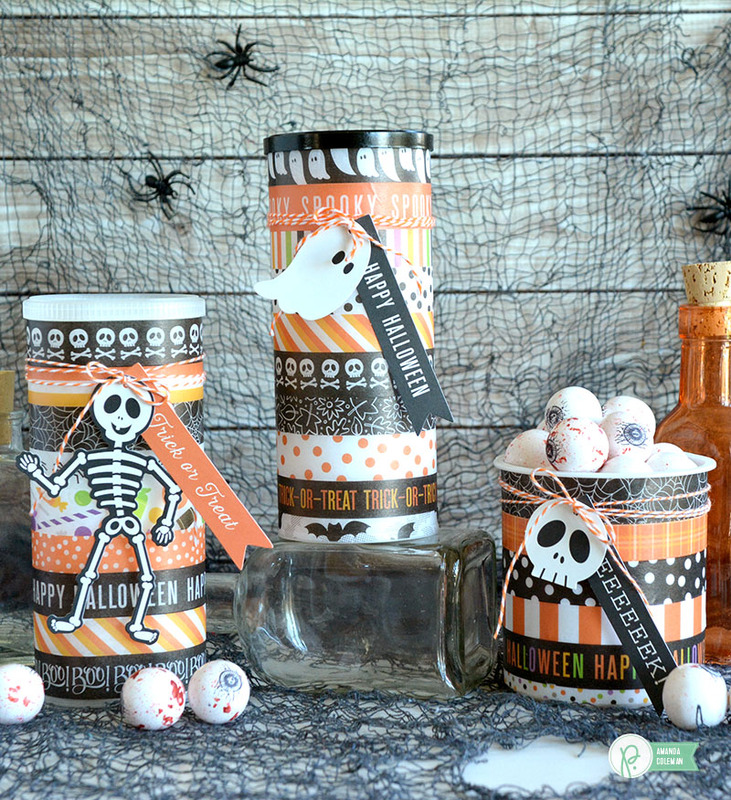 I have a h-u-g-e bag (or two) filled with jars, cans, bottles, and boxes just for the purpose of making treat jars, pencil cups, and storage containers. Sure, sometimes the labels can be tricky, but it is super convenient and, above all, good for the Earth. 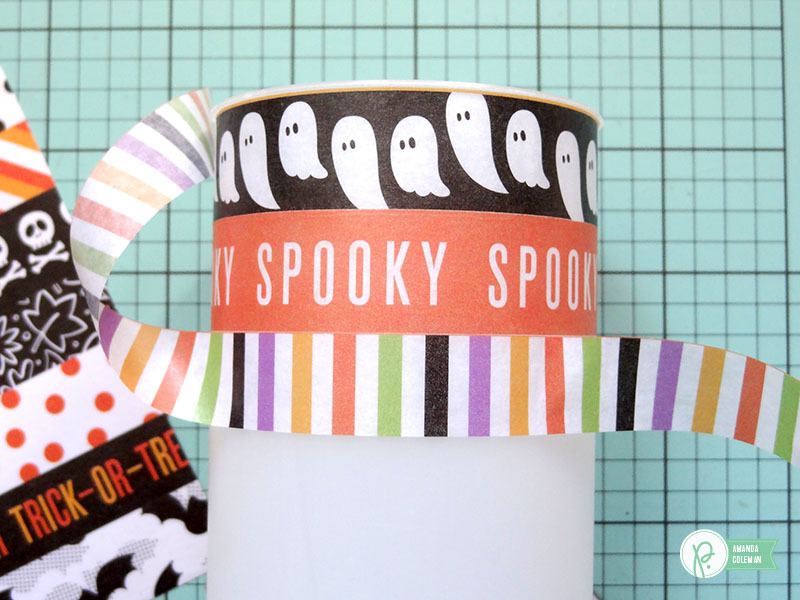 These plastic containers are dressed up with washi tape, tags, and twine. They take minutes to put together and don’t require any special techniques. Bonus! I’ll bet you recognize the shape of this container! Frosting containers are seriously my favorite. They are just the right size for giving away larger pieces of candy. 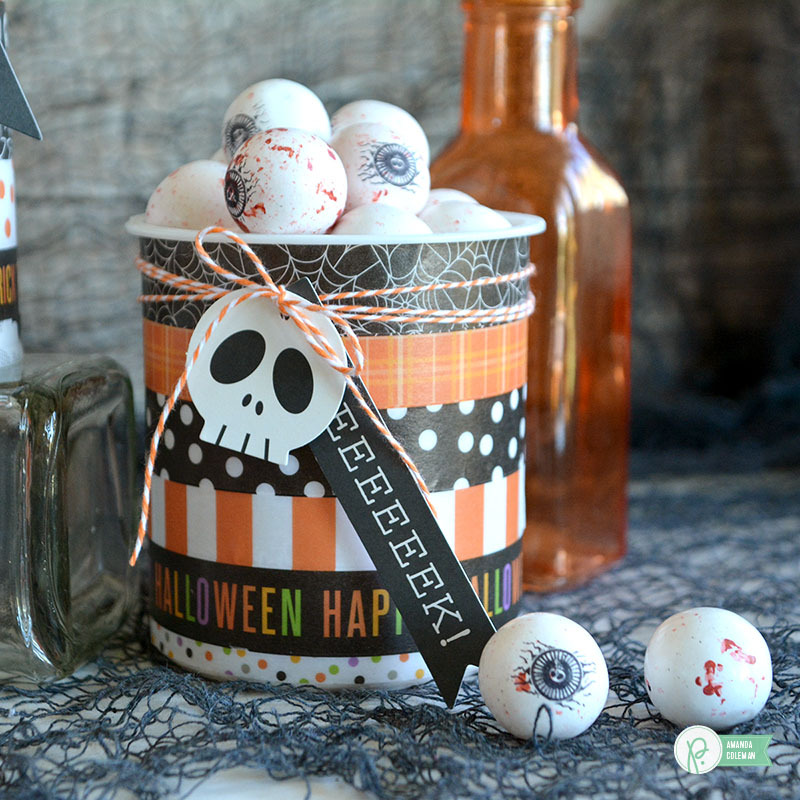 Don’t these bloodshot eyeball gumballs look perfectly creepy? Worried about travelling with an open container? 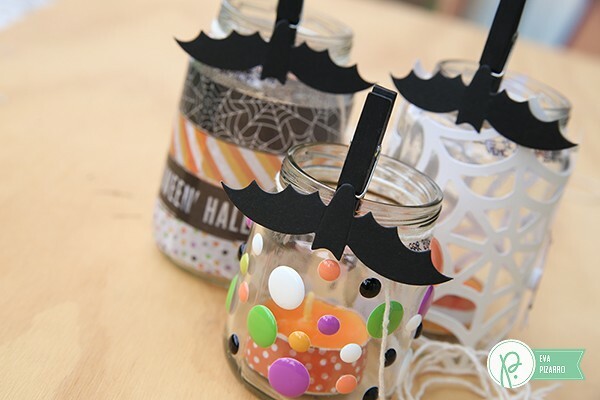 Place the candy in a clear cellophane bag and tie with a pretty bow before putting the candy in the container. Pebbles Chips are one of my favorite Pebbles products. 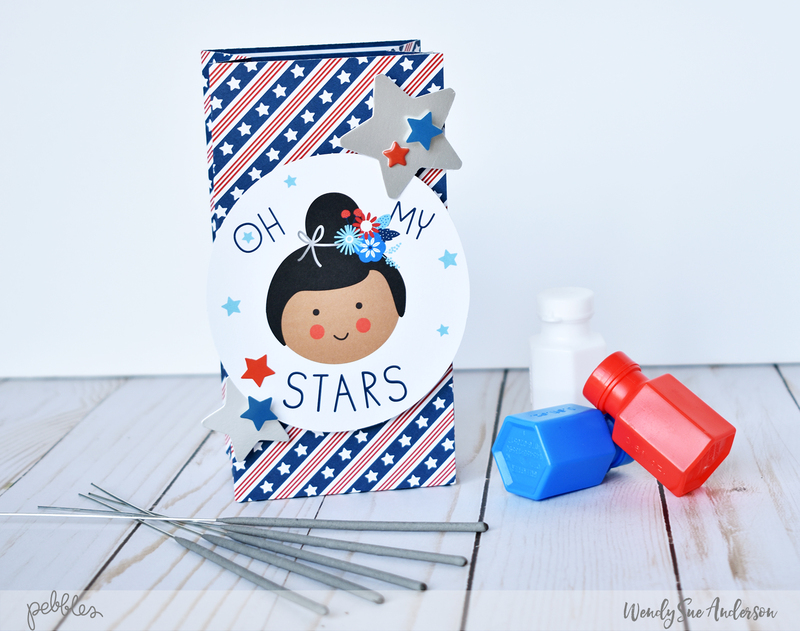 They are perfect for making cute tags for your upcycled treat containers. 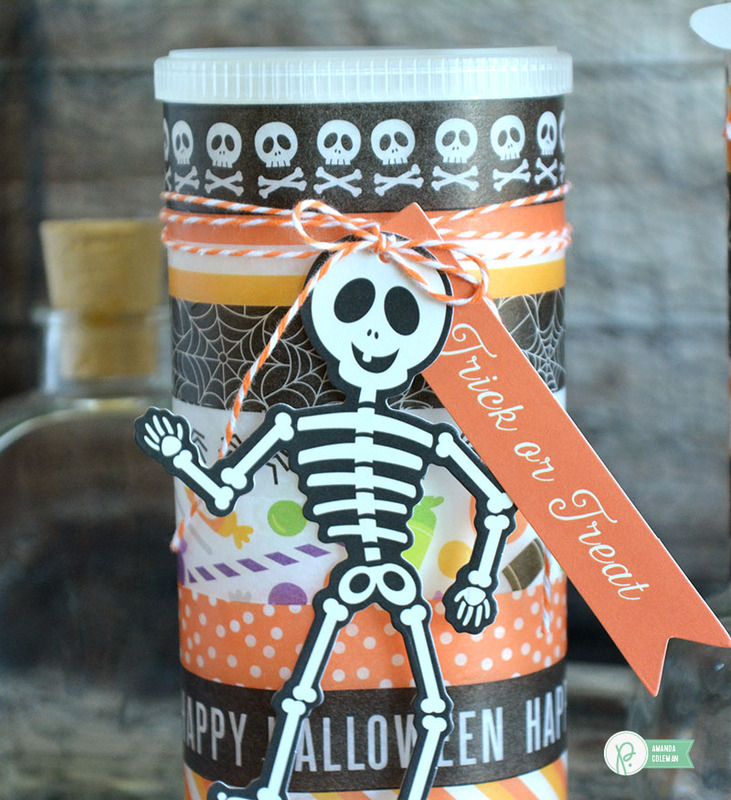 I think this skeleton looks extra cute with a little twine bow on her head. 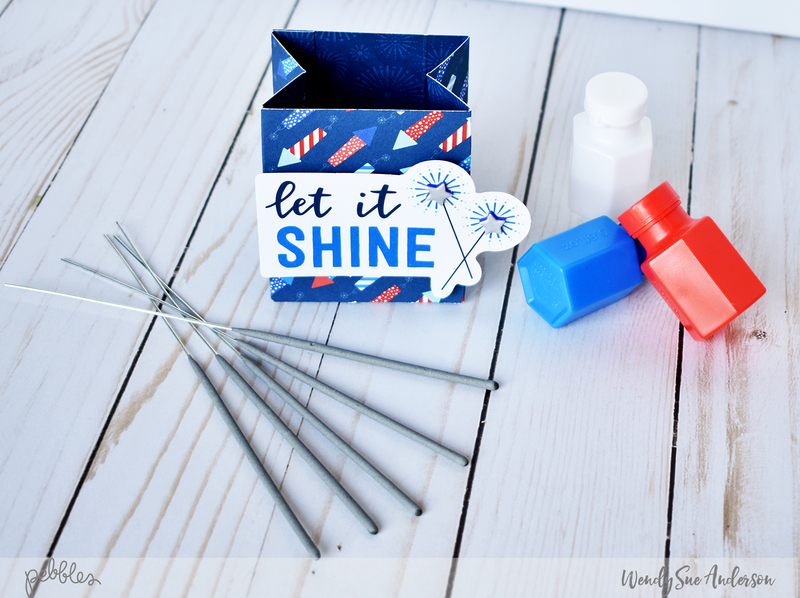 Repurposing a plastic container into a gift container is easy. 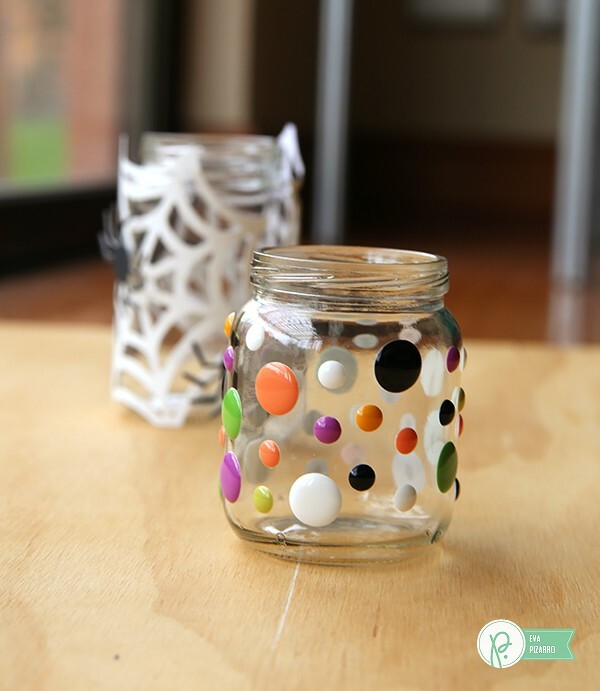 For this project you will need: empty containers, washi tape, tags, and twine. 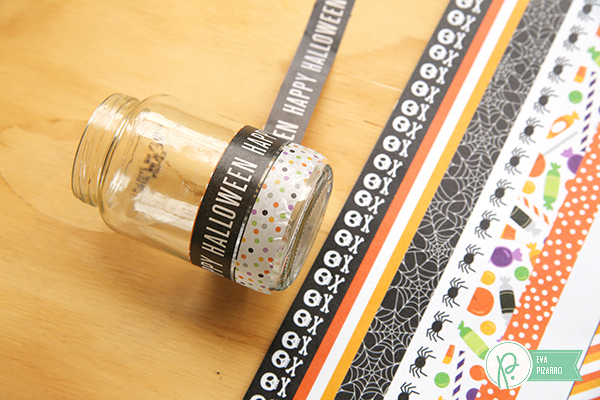 Trim your washi tape to size by wrapping the washi sheet around your treat container and cutting off the excess. 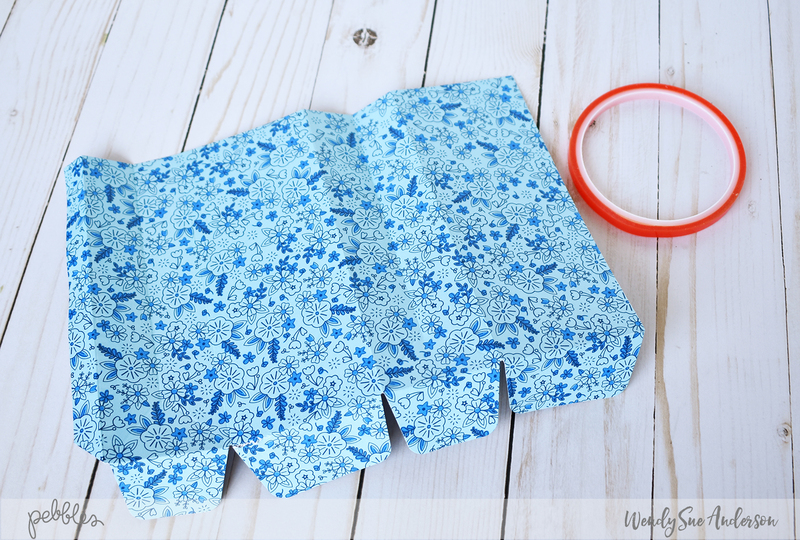 The shorter the washi strips, the easier they are to work with. 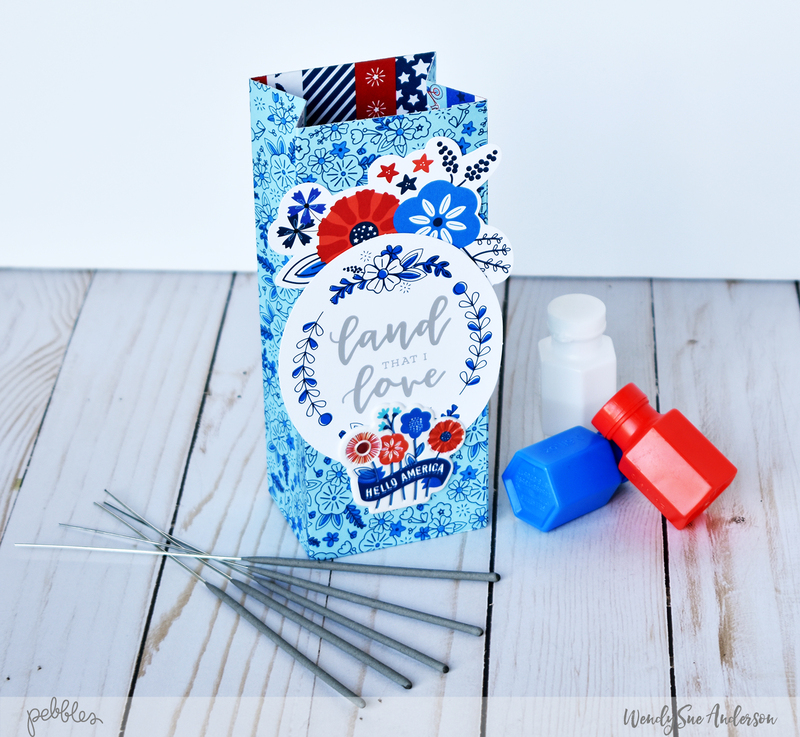 Plus, you will have saved the little extra washi strips to use on cards and layouts later. 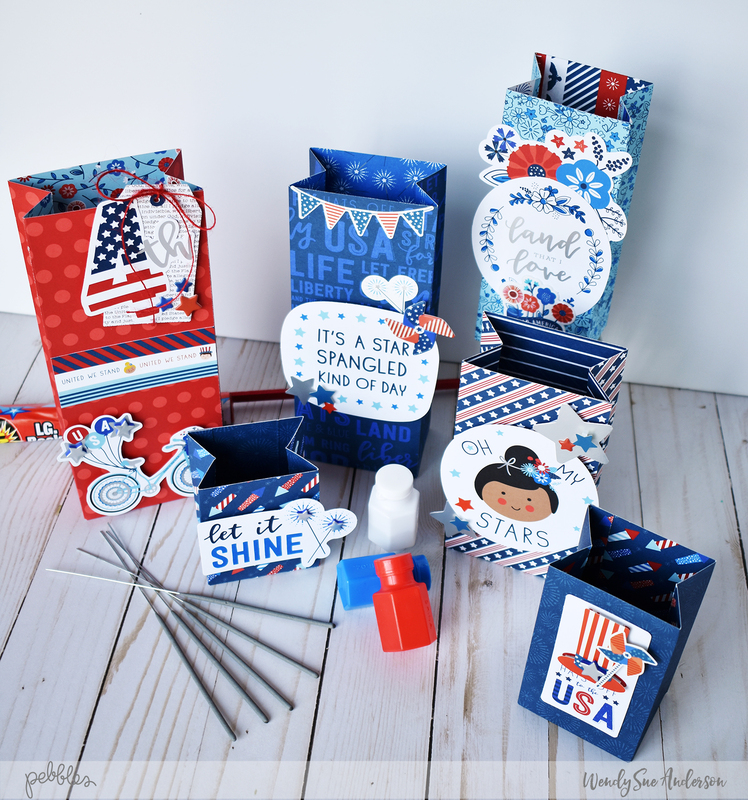 Wrap the washi strips around the container one at a time, starting at the top. 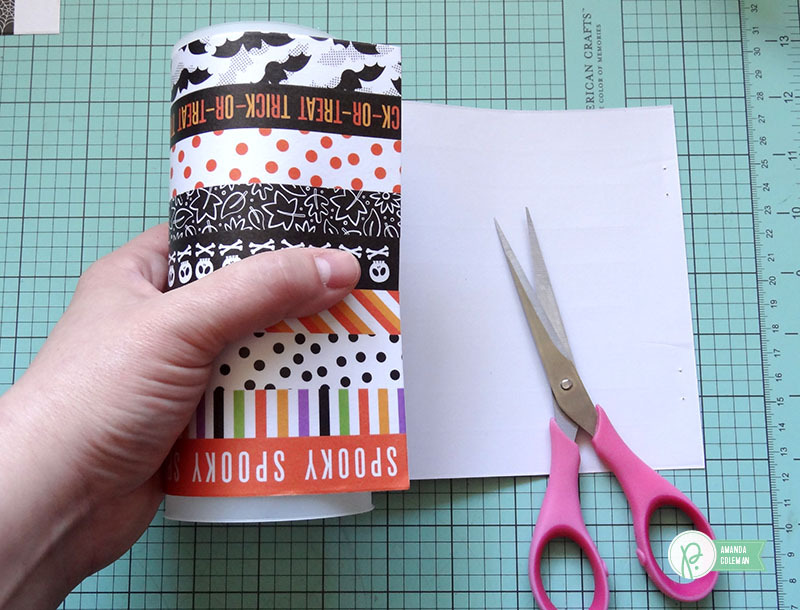 Using the nice, straight edge at the top as a guide will ensure that all of your washi tape lines up nicely. 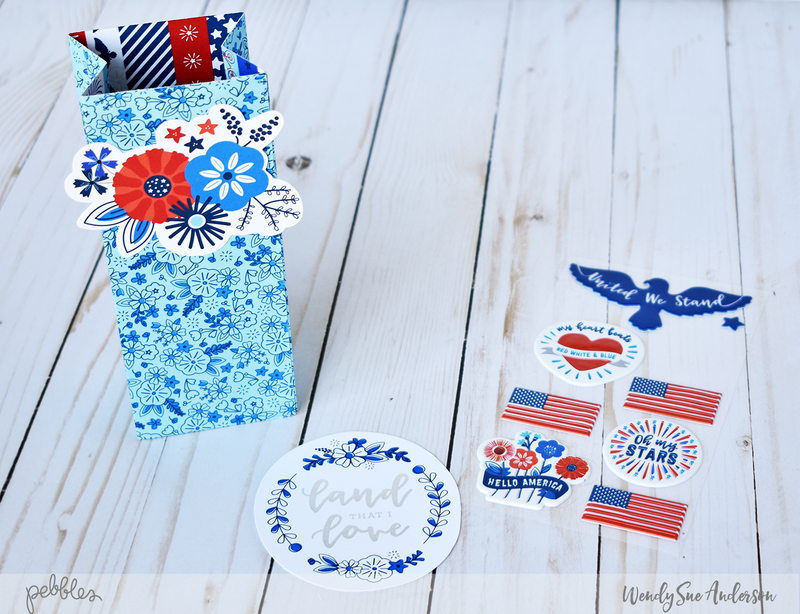 Start by adhering your washi tape in the middle on the front. Adhere one side at a time until the ends overlap on the back of the container. The lid for the middle container was originally light blue. Yuck! 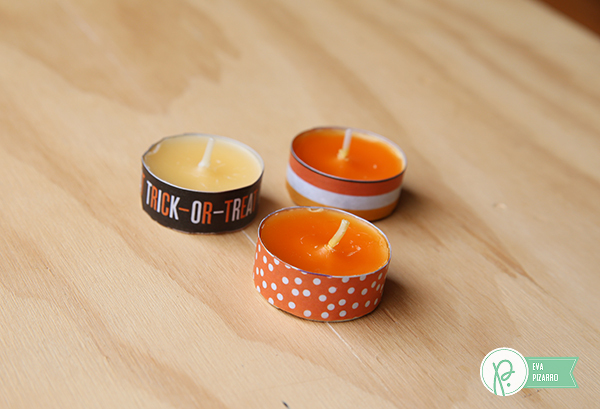 CRAFTY TIP: Spray paint lids so they coordinate with your treat containers. Choose a spray paint that is compatible with type of lid you are painting (i.e., plastic, metal). 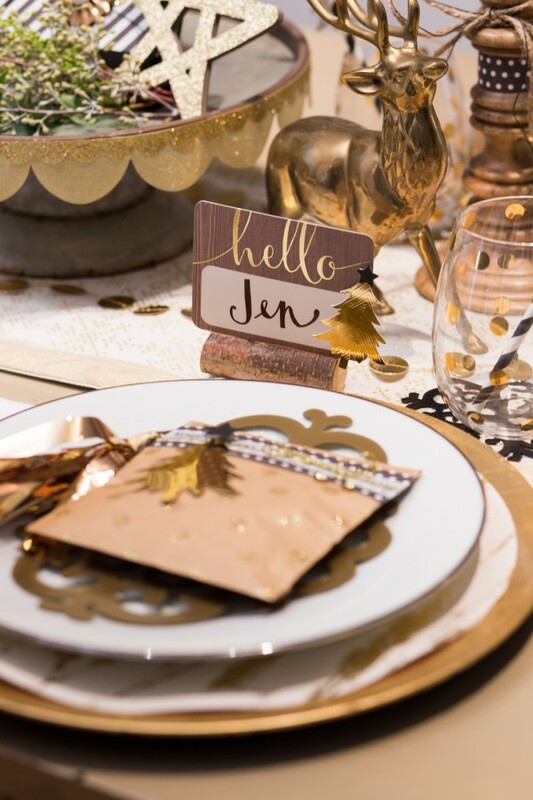 Hello Pebbles’ fans, I’m Eva Pizarro and today I am bringing you a quick tutorial on how to make candle holders and decorate your home during the holidays. I had a baby a few months ago, and now I have so MANY baby food jars! 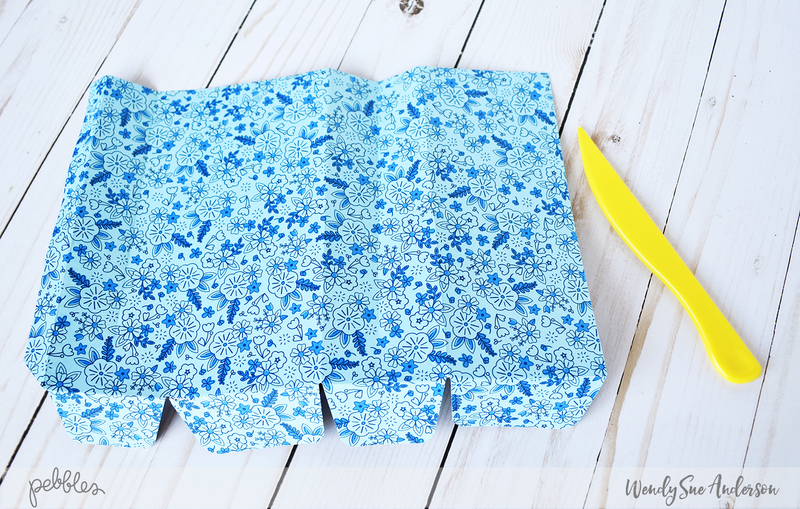 I don’t throw them away because I know I can use them for something fun and creative! 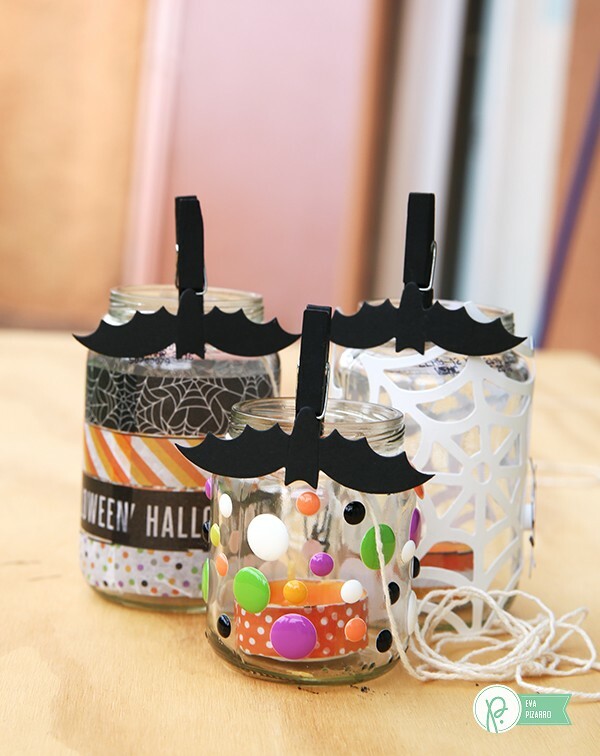 These candle holders were the perfect craft to help me use some of them and decorate my house. I am using the new Boo! collection from Pebbles and because it has so many gorgeous embellishments I was able to make these candle holders really quickly. 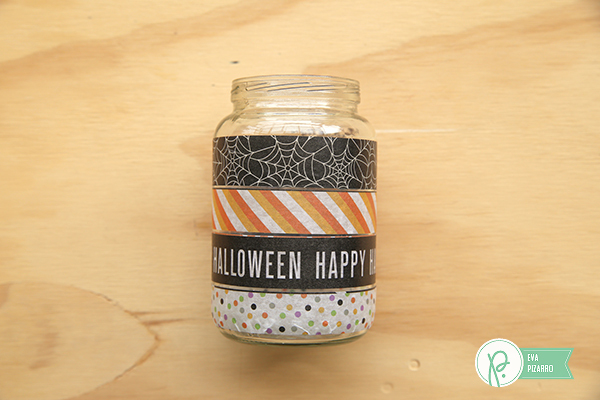 For this one I simply took some of the washi tape strips and applied them around the jar. Keep adding washi tape until you reach the top of your jar. 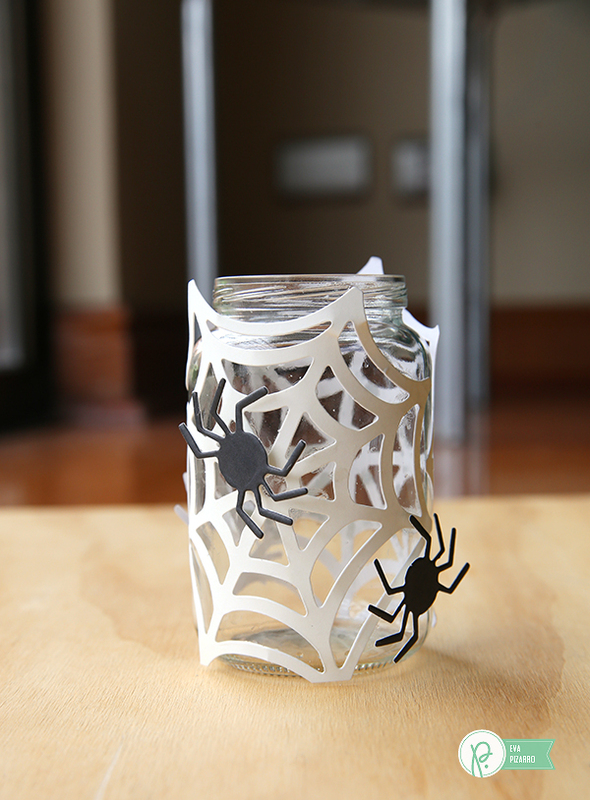 To make the next one, I glued some spider webs I found in the Chips pack and embellished them with spiders. 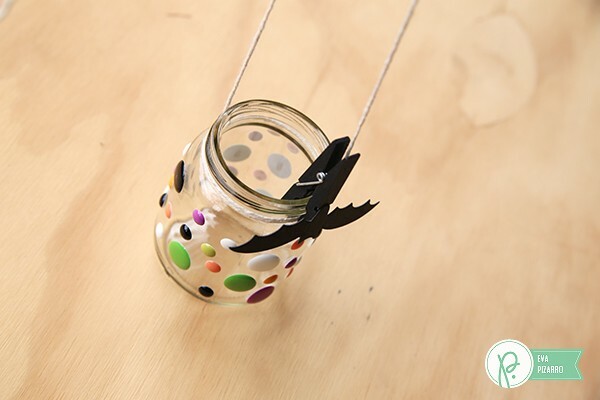 For the last one I decided to use my enamel dots and just glued them randomly around the jar. 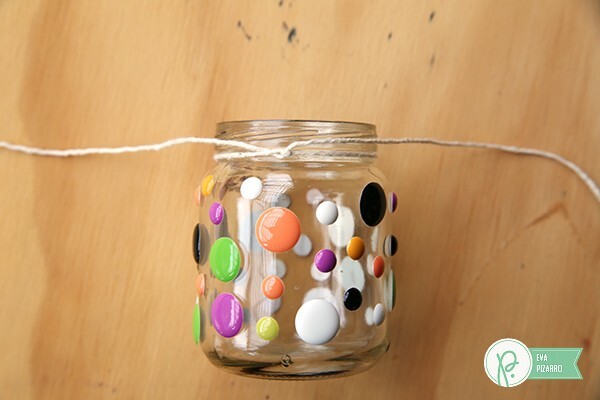 You can leave the jars like this, or if you want to hang them, just tie a piece of string around the jar with a double knot. 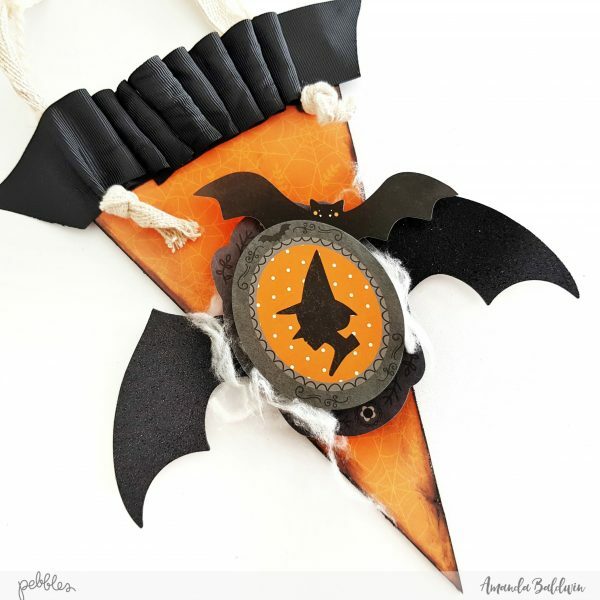 Wrap around one of the pieces of string and hold everything with your bat clothespins. 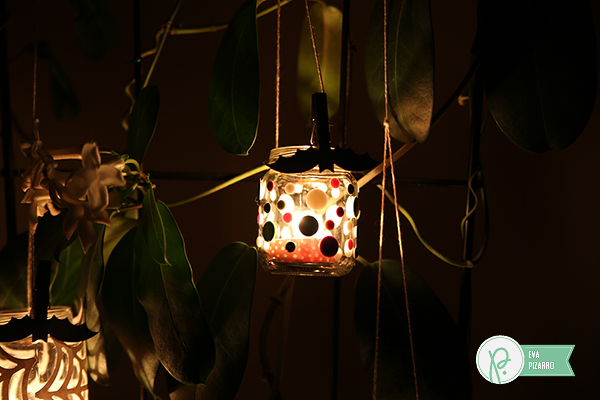 Then add a little candle inside! I decorated mine using the washi tape strips. And you are done! 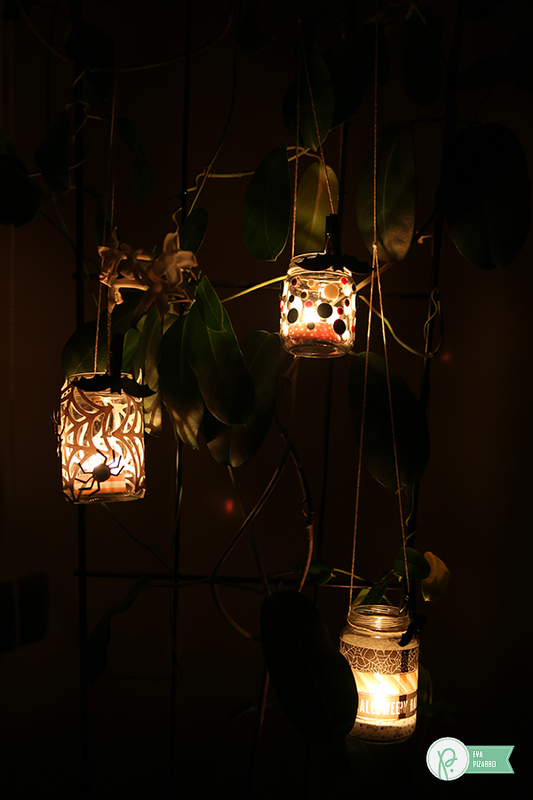 You can arrange them on a table or hang them around the house. 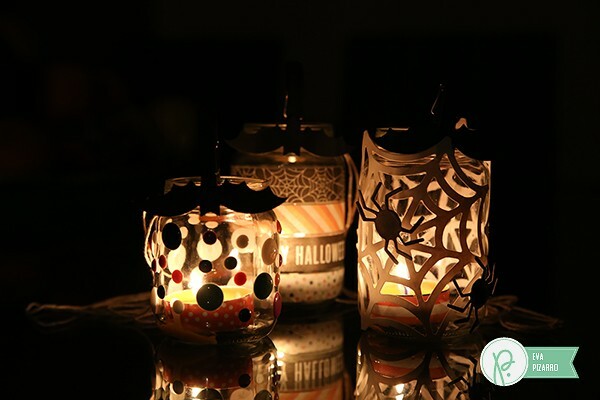 I love that you can see through the embellishments when they are lit. 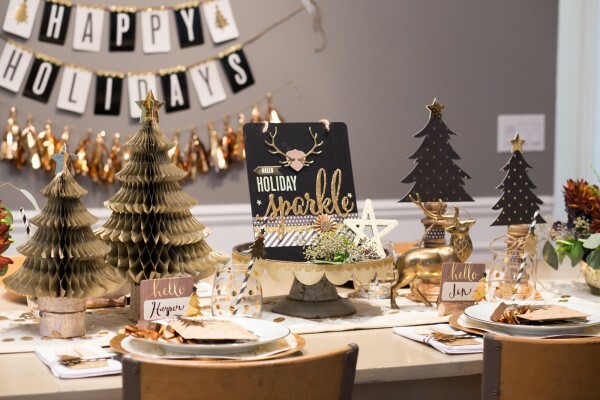 I hope I can inspire you to create a little something to decorate your home during these holidays! Bye!